We have been working with Forest Aviation since 2003 and we found their service extremely reliable and efficient. They have assisted us in importing over 12 aircraft with no hassles whatsoever. We have no hesitation whatsoever in recommending their service to anyone. N752DS arrived safely in its new home in the UK on Friday last, after an Atlantic ferry crossing.I would like to thank Forest Aviation for their help in arranging the importation, and the advice relating to ferry pilots and US registration of the aircraft. We had a rushed delivery of our aircraft , however thanks to the expertise and extremely quick and professional service from Forest aviation we were able to leave the facility and present the aircraft on time to the owner, we would have no hesitation in using their services again. The Aviation division of Hitachi Capital Business Finance have used Forest Aviation on many occasions to ensure that all the importation requirements are fulfilled and any prospective issues resolved at an early stage. Forest have extensive expertise that ensures a drama free import of the aircraft. Many thanks for all your help on these seven aircraft, without it I very much doubt importation would have gone as smoothly as it did, if at all. In 2008 the Ministry of Defence contracted with Serco Defence, Science & Technology to provide two additional new 200GT King Air aircraft for multi-engine pilot training at RAF Cranwell. The aircraft were flown from the USA to the UK by a ferry company, when Forest Aviation Services Limited then took responsibility for completing the HM Customs & Excise import processes. 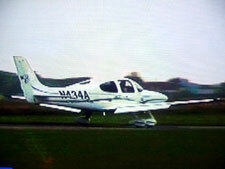 I am pleased to record that the potentially complex HM Customs aircraft import requirements that would take the King Airs from first landing in the UK to final delivery to RAF Cranwell were managed by Clive Chapman, Director, Forest Aviation Services, in a highly professional, efficient, and proactive manner. Clive Chapman's previous experience as a member of the HM Customs GA Team was a significant factor in his ability to facilitate the aircraft import process, and I have absolutely no hesitation in recommending Forest Aviation Services for this task. The Company was quite simply flawless, and represents good value for money by avoiding the many potential pitfalls that can catch out inexperienced individuals in this. business area. As a result of an incorrect import process, my aircraft was detained by HMR&C. Suddenly needing the services of a lawyer and an expert in Customs management - I was referred to Forest Aviation. After a phone conversation and exchange of documents, Clive & Sarah Chapman quickly agreed to help resolve this problem. The Forest Aviation team quickly established what I had done wrong, the implications and options. Forest kept me totally up to speed, options to go forward and how to interact with HMR&C. This was invaluable and helped cut through several procedural log jams and resulted in my aircraft being re-imported properly at a much lower cost than I feared. Their knowledge of Customs law and the inner workings of HMR&C was invaluable and without doubt I will use Forest Aviation for any future aviation imports.